On ARFCOM. 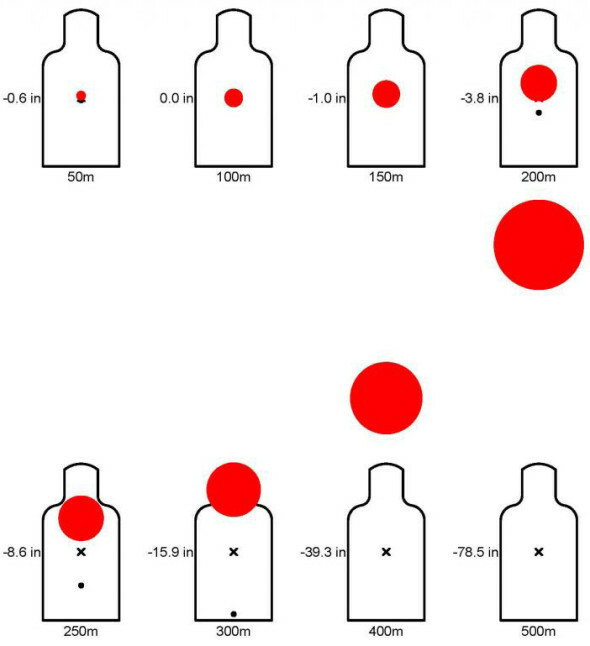 If you want a good reference for visualizing bullet drop and range estimation with irons, red dots, and magnified optics… then click here. Props to Arfcomer “pezboytate” for this awesome resource! What a Peep Does For You. What If My Range Only Goes to 100 Yards? Any info on a 25 or 50 meter zero? I’ve read a lot about its advantages for ARs. I have used a 50 yard zero for most of my shooting. You can hit a coke can out to 250 ish yards with this zero depending on barrel length and bullet choice so its a very precise zero for defensive shooting.